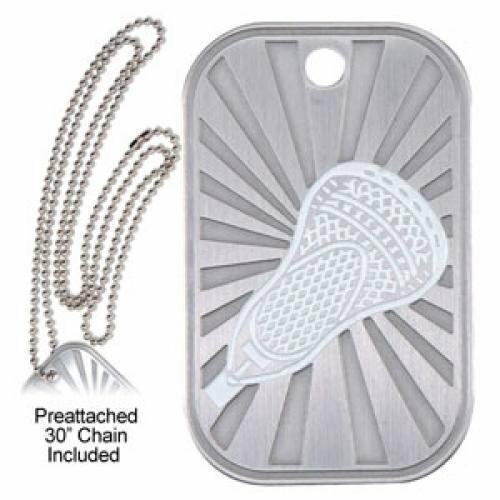 This stunning medal design features a Lacrosse scene encircled by a frame of 10 shooting stars. The ring at the top allows it to be easily attached to the ribbon of your choice, and it can be personalized on the back for your event. 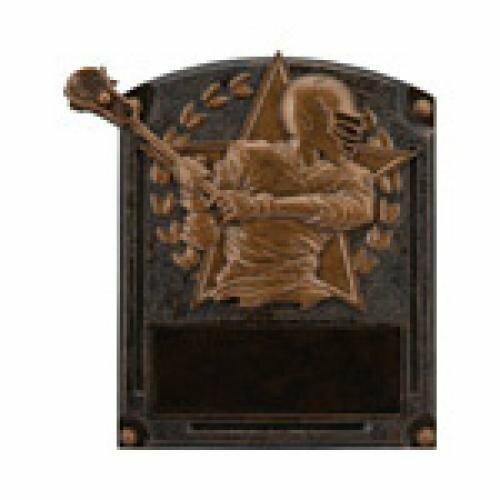 This is a budget friendly award for excellence in Lacrosse that will surely be cherished by the recipient. The medals are available in antique gold, antique silver and antique bronze. This Lacrosse Female Legends of Fame award is a memorable keepsake that will be cherished by the recipient for years to come. 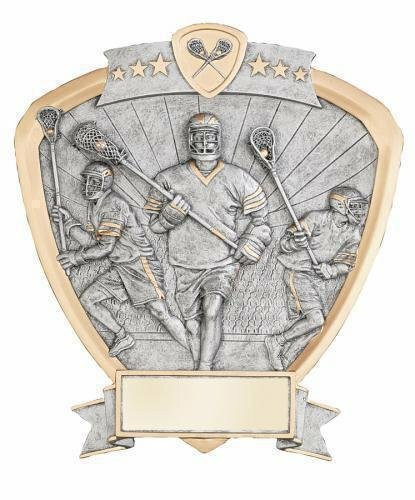 A Lacrosse player is depicted with their stick cocked back and ready to make the winning goal while the unique bronze color finish makes this award something special. 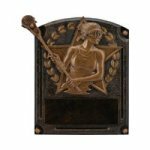 This Legend of Fame award measures 8 X 6 and a large area at the bottom of the award can accommodate all of your personalization needs. This item can either be hung on a wall or placed on a desk using the included stand. 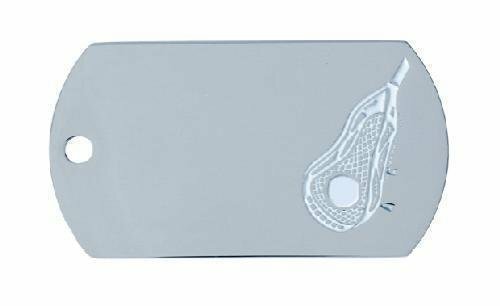 This Lacrosse Male Legends of Fame award is a memorable keepsake that will be cherished by the recipient for years to come. 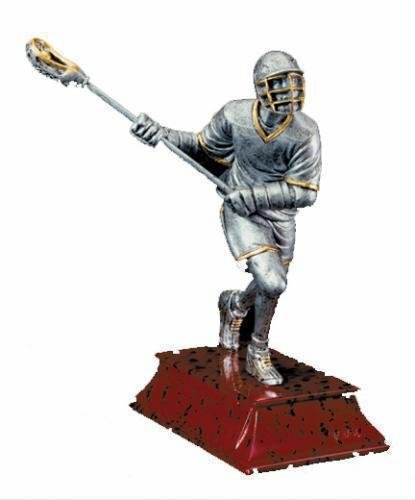 A Lacrosse player is depicted with their stick cocked back and ready to make the winning goal while the unique bronze color finish makes this award something special. This Legend of Fame award measures 8 X 6 and a large area at the bottom of the award can accommodate all of your personalization needs. This item can either be hung on a wall or placed on a desk using the included stand.